If you are in debt, Debt Consolidation has most likely crossed your mind. The theory sounds great! You submit all of your debts, send it a monthly payment and they handle the rest. Most companies advertise being debt free in as little as 18 months. Great deal, right? Wrong! If you have read any of my other articles, you might remember me mentioning that after my divorce, several years ago, I was left with debt coming out of my ears. One of the several options I researched, was debt consolidation. It sounded like the answer to all of my prayers. All of my debt would be compiled into one location. I sent in a check each month. Everyone got paid, and I was on the path to financial freedom. Then, I dug a little deeper. I started to read the fine print. I noticed that there were fees involved. I discovered that not all creditors would accept this, and I wouldn’t know until after I had submitted all of my personal information, all my debts, and part of the fees. With both debt consolidation agencies, and credit counselors, there are fees for their service. I have seen them range from $150 all the way up into the $1000’s. Many companies don’t even mention the fees. They add them into your monthly payment, and since many people TRUST the company that’s supposed to be helping them with their credit, the don’t read the papers they are signing. With debt consolidation, what you are basically doing is consolidating all your debt into one loan. This loan has an interest rate. Sometimes less then the other debts, but sometimes, not. Many companies even throw out the term “Non-Profit”. Non-Profit doesn’t mean they don’t make money. There will still be fees. In order for this to work even slightly in your favor, all creditors have to agree to the new “proposal”. They do not HAVE to accept it. When you signed up for the program, you told them that you could afford $275 for a monthly payment. They put that in your contract. They sent off “proposals” to your 9 creditors; only 5 accepted. Now your monthly payment will still be $275, but now you have to figure out how you’re going to pay those other 4 debts. My husband found himself in this situation right before we met. It was a nightmare to try to fix. Trust me! Like I just mentioned, my husband signed up for debt consolidation before we got together. When we started to combine our income, I took responsibility for the bills. The first step I took was to STOP the debt consolidation. He was about 1/4 of the way into the program, and had already paid so many fees, it was ridiculous. I pulled his credit report, and started from scratch. I contacted the creditors. I worked out payments, and had about 90% of the fees dropped. The interest rate on ALL of the debts, was dropped for me. Yes, it took a little time, but we saved a ton of money! Well worth it! All of my husbands debt was paid off. We had acquired no new debt in his name (Or mine). We decided that due to a growing family, we were going to upgrade to a larger vehicle. We knew we had a clean credit report; our interest rate should be great. It should have been a breeze. It wasn’t! We went into the dealership. Drove a few vehicles. Decided on one. Then I worked my magic to get a great price. We were ready to move forward with the financing. We filled out the application, and waited for the finance manager to bring us the paperwork for our new car. We were declined! Not for a poor credit score. Not for debt to income ratio. Instead because we were a “Credit Risk”. My first questions was, “WHAT? That makes NO sense at all! We are debt-free! How can that be possible?!”. The finance manager called us into his office. I was livid! He showed us that the “Debt consolidation” from 2+ years ago, had a red flag on our credit report. It didn’t cause our credit score to decline, it did, however, flag us as being part of a debt consolidation program. RED FLAG! With my persistence, and documentation, it was finally removed from out account 3 years later. To many financial institutes, a Credit counseling, or debt consolidation is worse than a bankruptcy. Like I have mentioned in prior articles, first step is to pull your credit report. 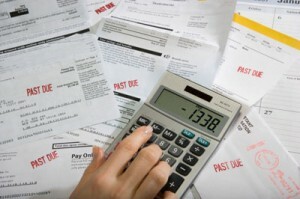 It’s easier to work with all of your creditors when you know what you’re facing. Step two…Call them, and ask for what you want. Ask them to drop the fees. Find out if they can lower the interest rate. You’d be surprised how many will. And Step three…Keep your word! Pay when you say you’ll pay. This will help you if you need to call in to adjust the payment or request another interest rate drop. You will have a history of on time payments, and keeping your word. Remember, being informed is the first step to financial freedom!